Mix "Fern Gully," and "Dances with Wolves" together, add a dash of "The Matrix," and you have "Avatar!" Made for just about everyone who loves to go to the movies. Rated PG-13 for intense epic battle sequences and warfare, sensuality, language and some smoking. 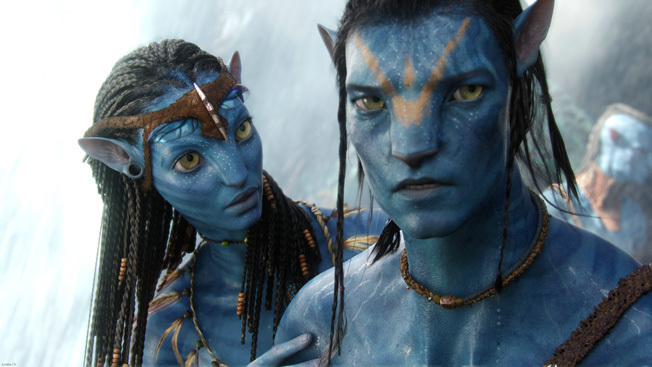 “Avatar” must be seen to be believed. Going into “Avatar” I had not watched a single trailer for the film. I wanted to go in with a fresh slate, not knowing what to expect. Sure I’d heard the rumors that Cameron had created a film that revolutionized 3D and CG animation, but to what extent I didn’t know. I’m glad I went in with this fresh perspective. It made it all that more enjoyable. The year is 2154. Humans have decimated their planet from deforestation and war. They have found a nearby moon (in space standards) called Pandora. Pandora is a lush wilderness environment, which is rich in minerals that the Earth needs and will pay big money for.